Open year-round, Pocono Mountain Villas' horse stables offer guided trail rides where you can reconnect with nature and an earlier time when life was slower on the back of a horse. 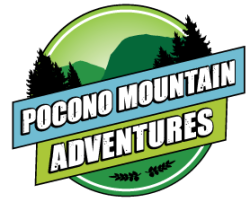 Set off into the snow-covered woods around Pocono Mountain Villas and take in the sights on horseback. Gentle trail rides last 30-45 minutes and are suitable for beginners. Experiences include brief instruction and all equipment necessary. Dress for adventure! Rides are offered daily June through Labor Day and five days a week September through May. See website for hours of operation.